Build number sense and fact fluency with Dominos. Subitizing is the ability to quickly identify the number of objects in a set without counting. There are two types of Subitizing. Perceptual Subitizing is the instant visual recognition of a pattern such as numbers in a ten frame, dominoes, or dice. Conceptual Subitizing involves recognizing smaller groups and adding them together, for example 6 dots plus 4 dots equals 10 dots. 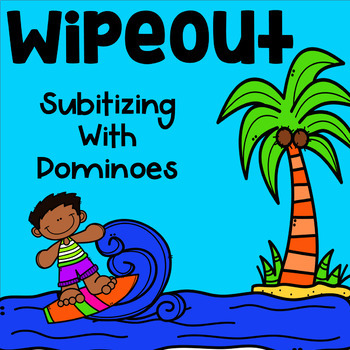 This fun and interactive game will keep your students engaged and excited about subitizing dominoes and learning those addition facts. Two teams face-off trying to state the number of dots on the domino before their opponent. The team that wipes out the other team wins the game. 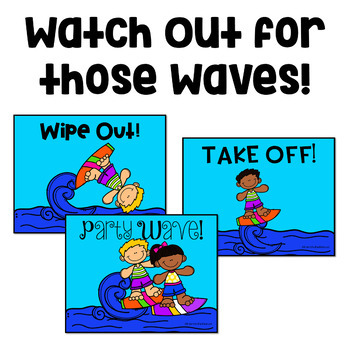 Watch out for those waves though as they add excitement and fun to the game. If you see a wipeout, both teams lose a player! However, the party wave, allows teammates to return to the game. Some waves allows players to take off to the back of the line without answering a question. This game will have your students begging to play again and again. Great for the end of the year! 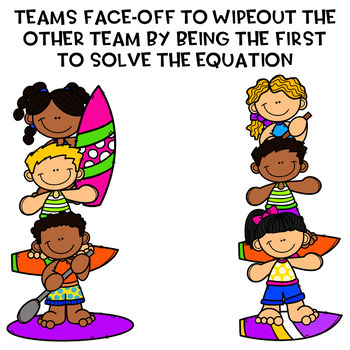 Increase number sense, fact fluency, and have fun at the same time.